Created as an open-plan loft style space, the two bedroom Lanta Loft Apartment 2A is on the second floor of a small boutique apartment building and has two ensuite bedrooms, a private seaview balcony and a shared swimming pool. When entering the second floor two bedroom luxury apartment you will be first surprised at the size and modern minimalist design. The living area, kitchen and dinning area are all open plan coupled with the high ceilings really accentuate the space within. The colour scheme is also modern breaking up with walls and making it feel even larger. 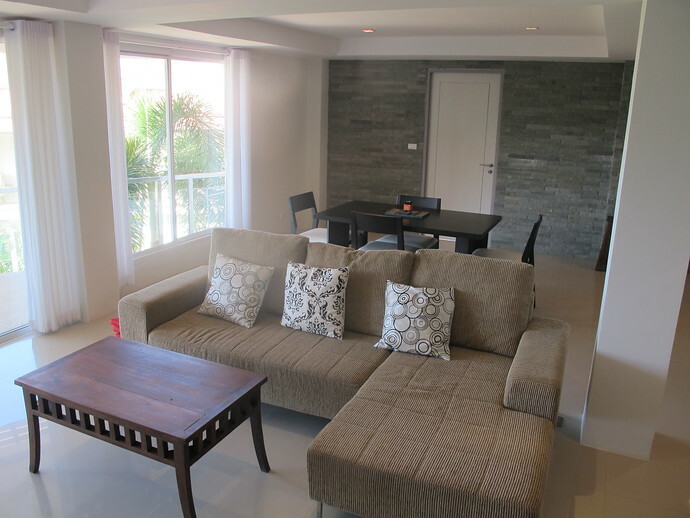 The living area and dining area are set at the front of the apartment, close to the terrace. The living area enjoys a large sofa in front of the TV. The dining table with seating for four, allows you to dine indoors or work on your laptop with the free WiFi. The apartment enjoys large windows and floor to ceiling sliding glass door allowing you access to your private balcony. The whole interior is open plan allowing plenty of space. There is no air conditioning in the area, simply open the sliding doors and the cool breeze will gently blow through. Along one wall the owners have changed the colour scheme to break up the design. 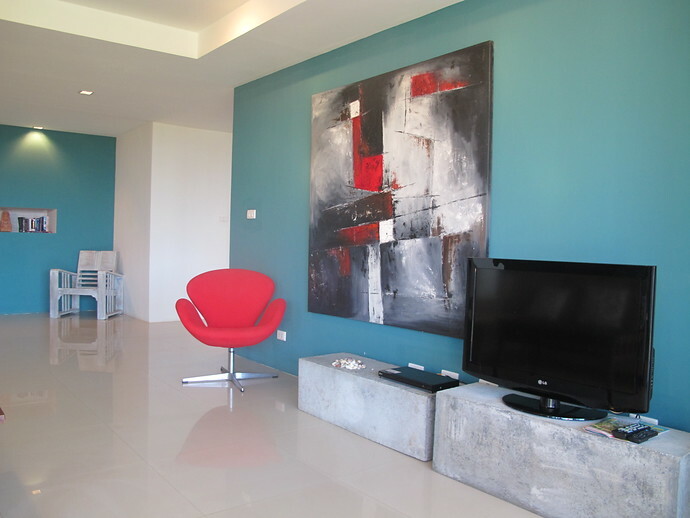 The artwork through out and gentle touches of red really bring the apartment to life. On top of the stands you have a TV and DVD player. Along the far wall is a small library and nice seat to relax and enjoy your book. Sitting there feels very private with a serene atmosphere. 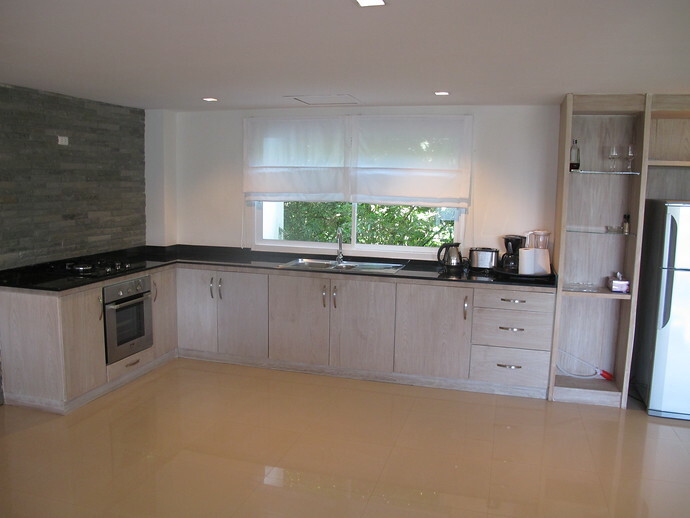 The large open plan kitchen features granite counter tops, a gas hob with an oven and a large fridge freezer. The kitchen also enjoys a kettle and a fresh coffee making machine, blender and toaster. The cupboards hide away the table wear, cooking utensils and cooking pans. When entering the apartment a door goes to one of the double air conditioned bedrooms. This bedroom has a King size bed, soft lighting and fitted wardrobes. The room enjoys floor to ceiling windows allowing light in and helping the room to feel spacious. 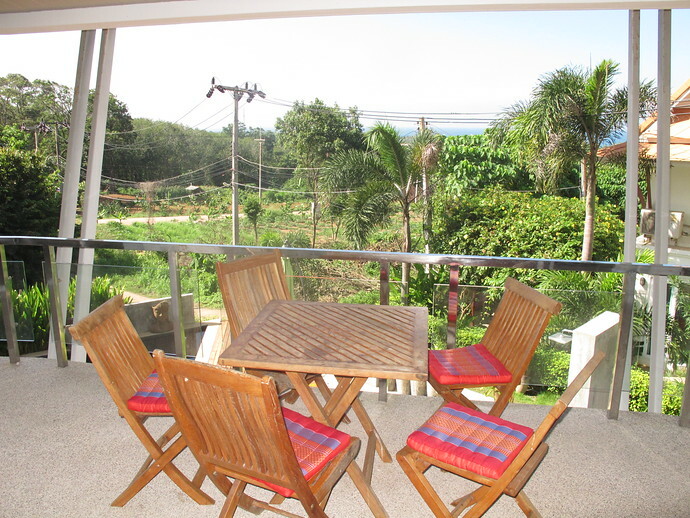 There are two large sliding glass door which allow you to walk out on to the balcony terrace. The first bedroom is also ensuite. There are two wash basins set on the granite top with a large vanity mirror. 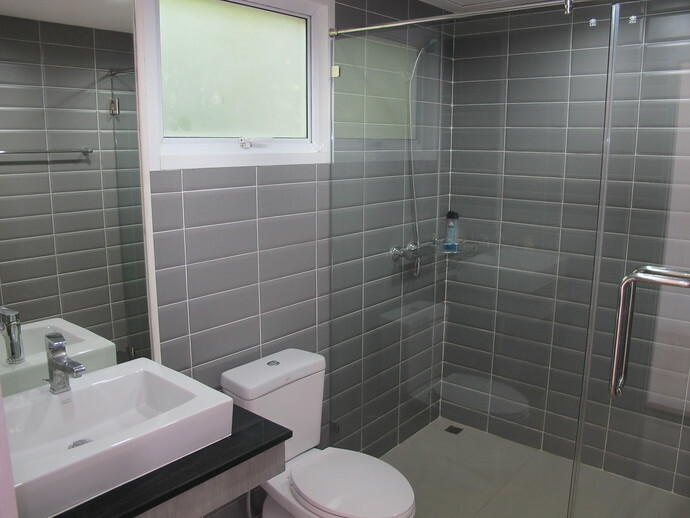 The western style toilet is located at the back, all surrounded with the crisp clean tiles. On the opposite side of the wash basins lined against the long wall is a bath tub and a glass cubicle where you can shower. 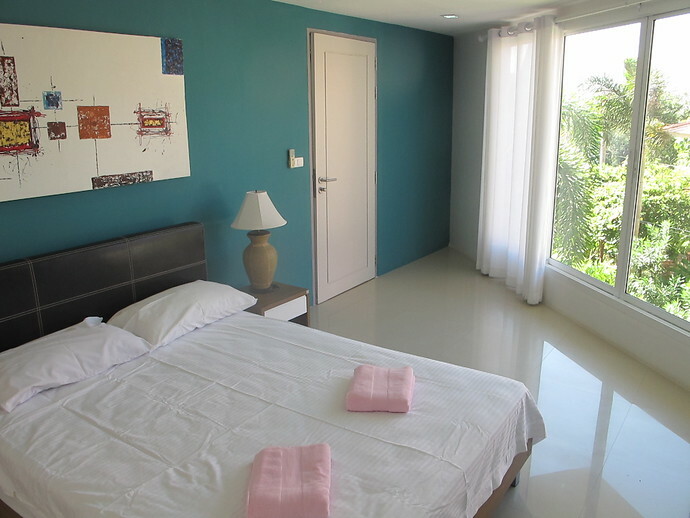 The second air conditioned bedroom is set at the opposite end of the apartment close to the kitchen and dining area. This room has a queen size bed and again is very spacious. Along one wall is fitted wardrobes which includes a safe. The room design, soft lighting and decorations help to make it feel very calm. There are large windows which can open – please note there is no balcony access here so when the windows are open it is a straight drop. This room would be more suited for adults. The second bedroom is also ensuite. 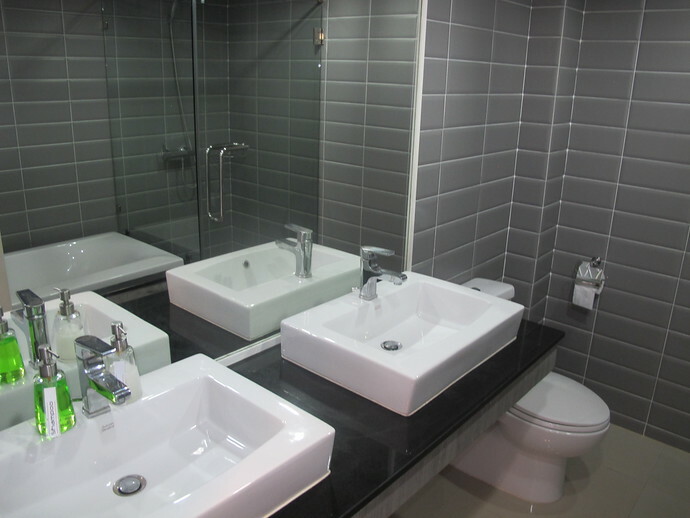 When entering the bathroom there is a wash basin, western toilet and glass shower cubicle. 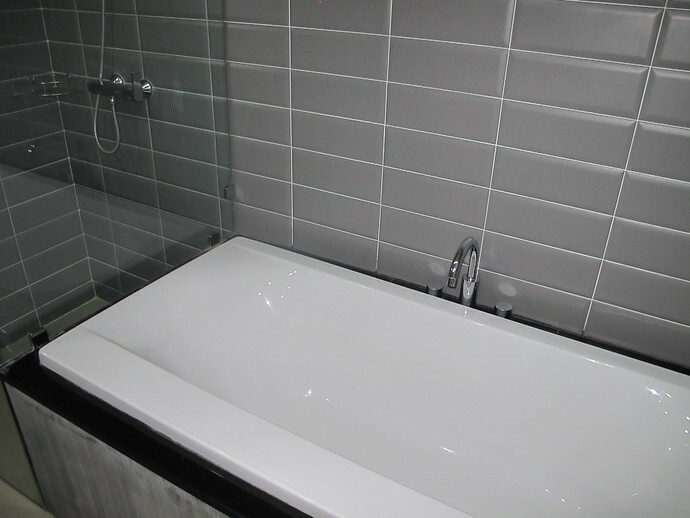 Set in the cool crisp tiles making it feel clean and chic. The private balcony enjoys access from one bedroom and also the living and dining area. It enjoys seating to relax or to dine outside. Sitting here watching the sun set is quite spectacular. The apartments enjoy a nice quiet relaxing area outside with seating, bathing mats and a pool. 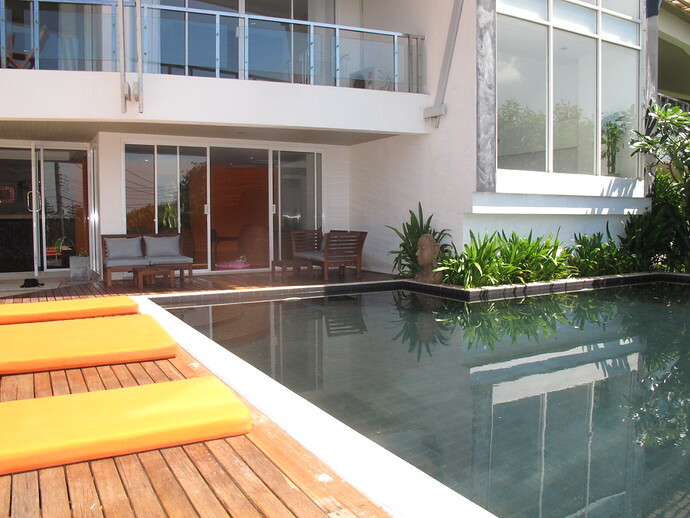 Although the pool is shared you may find you are the only guests taking advantage of it. The area also enjoys an outside shower. 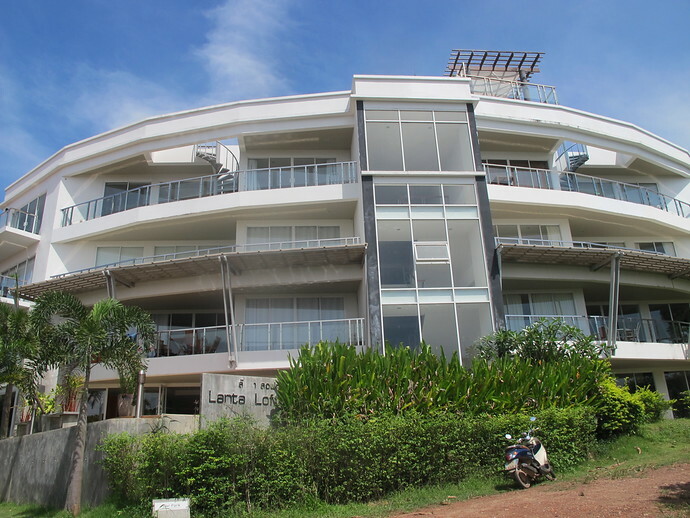 The Lanta Loft apartment is without a doubt one of the best serviced apartments on Koh Lanta, located in Long Beach and a short walk to many restaurants and bars but also far enough away that you will not be disturbed by noise. When you enter the gates of the property you will experience the peaceful atmosphere making it a perfect choice for a romantic break, honeymoon or special occasions. 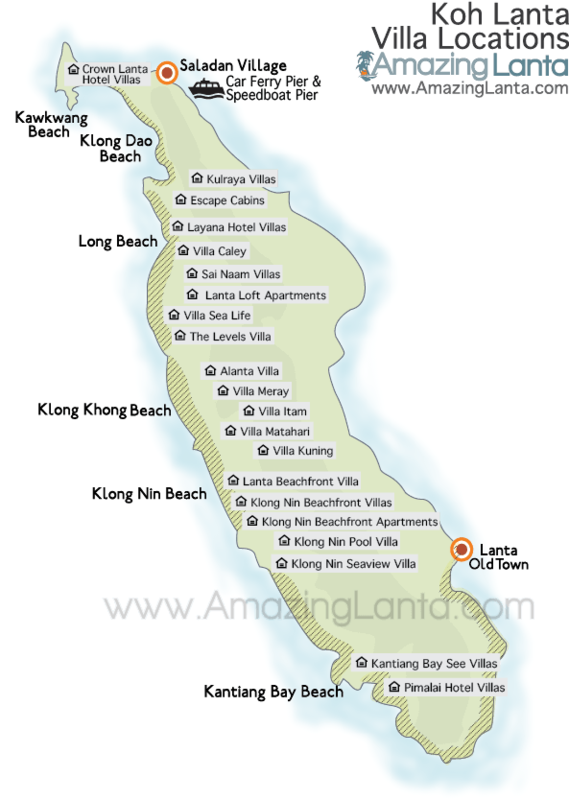 Long Beach is the second main beach in the north of Koh Lanta. 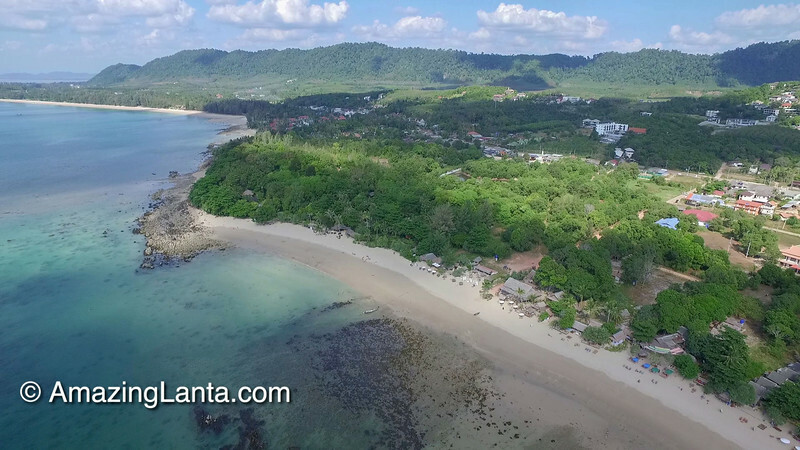 It’s the second-nearest beach to Saladan Village, which is where all visitors to Koh Lanta arrive, so Long Beach hotels have a transfer time of about 15-20 minutes from Saladan to anywhere along Long Beach. For a more detailed map of Long Beach itself, see our map below and also read our comprehensive page about Long Beach. Upon arrival you will be met by Nick the apartment manager who will give you the keys and show you around the apartment. He will be happy to offer his expert first hand knowledge of the Island and also be happy to help and advise you with any problems you encounter whilst you stay. Then on the day of departure he will come to say goodbye. Don’t forget to book an Express Transfer for you return to Krabi Airport or to any other close Thailand destinations. Lanta Loft Two Bedroom Luxury Apartment is well positioned near Long Beach’s main shopping and eating area. The apartment sits elevated in its own private grounds on a quiet hill side. The road to the apartment is 0.5 Km of concrete road which continues to cross over to the East Coast, the apartment sits 70 meters back from this road. The road incline to the apartment is pretty steep, it can easily be walked down but in the day walking back up the hill can be a struggle, hiring a motorbike would be strongly advised or hiring a taxi to take you home. If you choose to walk at night please take a torch with you as part of the road is not properly lit. Lanta Loft Two Bedroom Luxury Apartment is located close to the quieter southern part of Long Beach and Relax Bay with its shallower water makes it ideal for kids to play. Both beach areas should take you no more than a 15 minutes walk. The Apartment really benefits from being so close to many amenities which are situated along the road side. Lanta Loft Apartment is not currently located on our map – but it is right next to Sea Life Villa located in the bottom right corner of the map. This will let you quickly get an idea of what is around the apartment. Rollover each label on the map for a quick description and click to see more information and check availability for hotels. The Levels Villa is a luxury, fully furnished two bedroom villa with impressive architecture, floor to ceiling windows, private swimming pool and breathtaking ocean views. Dr.Salarin who speaks fluent English will be happy to help you with any emergency. Two brand new hilltop luxury villas built for privacy and seclusion. Each villa has its own private infinity swimming pool where you can enjoy spectacular unbroken 180 degree panoramic views of the Andaman Sea. Turn right out of the apartment grounds go down the 0.5 Km road and you will come to a T junction. Turn right and 200 meters you will find one of the best Koh Lanta Restaurants named Red Snapper offering the best imported steaks, salmon and large Tapas menu. In the day the Red Snapper opens at 10:00 offering good coffee and home made breads to make creative sandwiches. Directly across the road is Retro Balinese style Cafe and the popular French bakery Faim De Loup with fresh breads and pastries. If you keeping walking you will find the Bajen Restaurant offering international cuisine like pizza, pasta and steaks or the BeachComber Restaurant offering the best authentic Tex-Mex dishes in a nice garden area facing the Andaman Sea. If your looking for simple Thai Food walk further right along the road 400 meters you will find restaurants like Sweet and Sour, Papaya Restaurant, Country Loas is an Isan place offering spicy Som Tam ( Papaya Salad ) and also mouth watering Nuer Nam Tok (Spicy Thai Beef Saldad – Nuer is beef and Nam Tok means water fall, when you have eaten your nose will run like a waterfall and you will come back for more ) Then there is Raan Restaurant with its cozy setting offering some great Thai and Seafood dishes, it is a little bit more expensive but the quality is well worth it. This area is not short of any bars for a beer or cocktail. Walk right along the road and you can stagger between the Sari Club, Bajen Sports Bar, Opium bar and Galaxy Bar offering different party nights in the week. Then a little further you have the only fun club on the Island Funky Monkey, and many more bars next to each other like Shooters, The Irish Embassy, Ned Kellys and the Brit Cafe. There is also the Korner bar offering a party on a Saturday night. Two bars which are set in very nice settings along the beach can be found close to the 7 Eleven shop look out for the Sanctuary and also the Mad Bull Beach bar at Lanta Castaway Resort which offers great cocktails. You will find many enjoyable things close to the apartment how ever the Island is around 35 km long so for a stay renting a car, motorbike or Tuk Tuk would be advised. 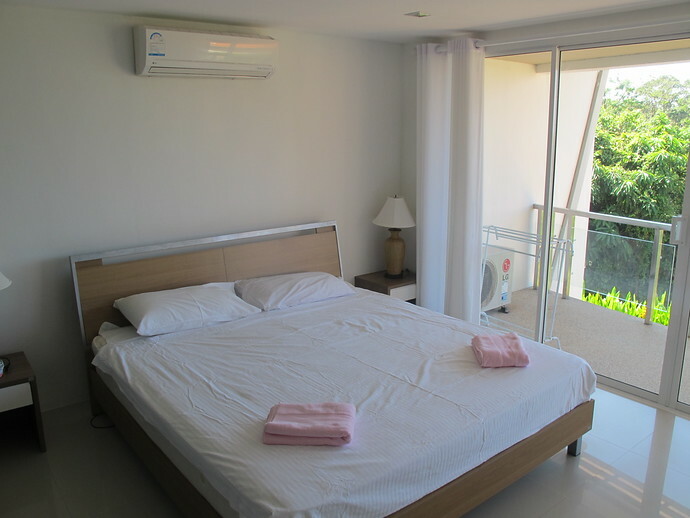 You can hire them on daily or weekly basis and the apartment manager who gives you the keys will be happy to help and organise these rentals for you when you arrive on Koh Lanta.